Karlsruhe Institute of Technology (KIT) is proud to present the International Staff Week “Deepening cooperation- gaining impact” which provides participants from CLUSTER partner universities with the unique opportunity to visit the two German CLUSTER Universities KIT as the host of the staff week and TU Darmstadt (Excursion) in one week. Please see further information about this Staff Week. 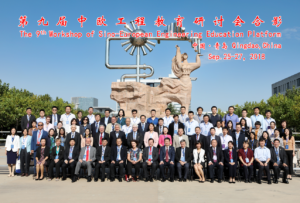 The 9th Workshop of Sino-European Engineering Education Platform was held at China University of Petroleum (East China)—UPC, in Qingdao, Shandong Province, P.R. China from September 25 to 27, 2018.